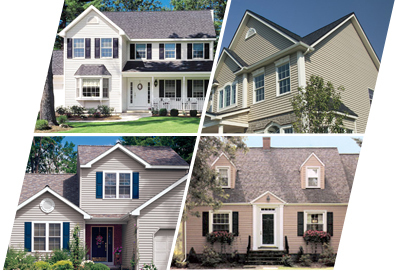 Your choice of siding expresses something unique about your style. We choose to offer only high quality siding, with several pricepoints to meet your needs. Our siding resists fading, sagging, bowing, and wind damage. Advances in technology allow for siding systems that are stronger, more rigid, and hug the home tighter than in previous years. Couple this with our expert installation, and you can enjoy years of worry free beauty and energy efficiency. We offer a wide range of rich, long lasting colors and textures to enhance the look of your home. Trim and accessories are available in a variety of colors and styles to compliment your siding, for a completely custom look. All of our siding choices include a manufacturers lifetime warranty.